This weekend is the 2nd Annual Uptown Loft Tour and is “National Open House Weekend”. We’ve been promoting the Loft Tour through billboards, posters, Facebook, Twitter, the local paper, email, and of course word of mouth. Several local restaurants are participating by offering samples of their specialties, along with other local businesses donating gift certificates and free bike rentals. If there wasn’t enough to do already, Uptown Columbus you can also attend Bash on the Banks and Market Days. Open Houses can serve several purposes, but I like to use them as a means to build a community and promote the lifestyle benefits a homeowner will receive by living in a particular area. 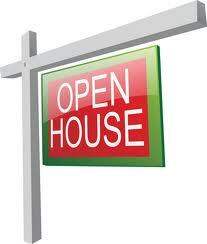 National Open House Weekend does mobilize real estate agents to hold properties open one weekend out of the year. However, it is not marketed well and the benefit to the public is not very clear. Buyers/Consumers admit they want to know WIIFM (Whats In It For Me), when making a purchasing decision. By promoting the community and lifestyle, through a well executed open house, buyers are able to easily see WIIFM. When you plan your next open house, make it a community event, and your traffic will certainly increase.